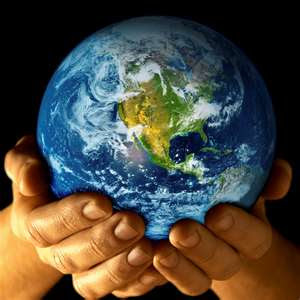 ..:recycled minds:..: Views from the ANThill: Is it Time for a More Serious Global Governance? Views from the ANThill: Is it Time for a More Serious Global Governance? The earth and our future really is in our hands. We hear more and more these days about how we live in a global era, or how the world is increasingly affected by globalization. However, it’s not often clear exactly what is meant by this language and terminology. The recent disasters in Japan may be just what it takes to clear things up. The earthquake, tsunami, nuclear meltdown trifecta is perhaps the first major event that will have a crystal clear effect on the entire world. It can already be seen in the stock markets, and there is talk about shortages and rising costs of the many products that come out of Japan. The country is “among world's largest and technologically advanced producers of motor vehicles, electronic equipment, machine tools, steel and nonferrous metals, ships, chemicals, textiles, processed foods” (CIA Factbook 2011). With the global reach of this disaster in Japan, the question must be raised of whether the current system of autonomous state governments is adequate in such an interconnected world. Is it now the time in which we must consider how a world that relies so much each others all over the globe can more effectively - and more fairly - serve the needs of everyone? In searching for a discussion on the topic, I was pointed toward a talk given by Manuel Castells in 2004 (available here). Castells uses the results of two worldwide Gallup polls conducted in 1999 and 2002 to show that throughout the world, popular trust in politics, government and democracy is declining. He argues that people the world over are looking for alternatives outside of the traditional political establishment. According to the polls, “The least trusted institutions were multinational companies, parliaments, political parties and governments. The most trusted institutions were the armed forces, NGOs, and the United Nations” (Castells 05:9). Contributing to this “crisis” of distrust that “threatens to undo the democratic system, and with it, the ability to manage problems and issues of a world in turmoil” (Castells 05:9) are the following: the rising influence of special interest groups, rising costs of media-driven political campaigns, and “scandal politics”, based on attacking political opponents character. Castells also points out a more structural problem contributing to this crisis: “the increasing inability of the political system anchored in the nation state to represent citizens in the effective practice of global governance and the ascendance of global governance as an increasingly essential component of national and local governance” (Castells 05:10). He proposes the stance that the world now finds itself in a globally interdependent reality, and that the everyday life of people around the globe are now shaped by these interdependent processes, including the economy, media, environmental issues, human rights, and global security. These issues, increasingly defined on the global level, remain largely managed by the nation-state. This is contributing to four distinct political crises for the State: efficiency, legitimacy, identity, and equity. There are many proposals about how to address these crises, but in the meantime, States are changing themselves, resulting in the slow development of a new type of State: “the network state” (Castells 05:11). The model of the network state is akin to the European Union in that sovereignty and responsibility are shared between international actors, the procedures of governance are more flexible, and the diversity of relationships between governments and citizens increases. Still, there remain problems with the network state, namely the lack of a culture of cooperation between States, the difficulty in framing an acceptable common policy, and the practical matter of coordinating such changes on the local, national and international levels. Castells explains that the difficulties in addressing global problems on a global scale have resulted in the rise of global civil society. Civil society consists of locally-based grassroots organizations, NGOs with a more global base and global reach, social movements (the movement for global justice), and “the movement of public opinion” (largely based on the new global media, like the internet) (Castells 05:13-14). Further, the idea of civil society can be traced to three distinct theoretical threads – civil society in opposition to the state, civil society as autonomous from the state, and civil society as the organized intermediary between the state and the people. In short, Castells argues that the problems facing the world are now global, while governments remain national, and find it increasingly difficult to deal with and manage these global problems. From the Gramscian point of view of civil society as an organized intermediary, civil society represents the best possible means through which to make the concerns of society part of a reformed state that is able to better address global issues. “The global state does not exist, because there is no global citizenship” (Castells 05:15). Castells, Manuel (2005) Global Governance and Global Politics. PS: Political Science and Politics 38:9-16. CIA Factbook (2011) The World Factbook: Japan. Available at https://www.cia.gov/library/publications/the-world-factbook/geos/ja.html. Accessed 3-21-11.